About Us | Russ & Gary's "The Best Years of Music"
Information in our pages is compiled for reference usage only, from various other sources on the Internet and other publications. … Good old times and the Best Years Of Music. 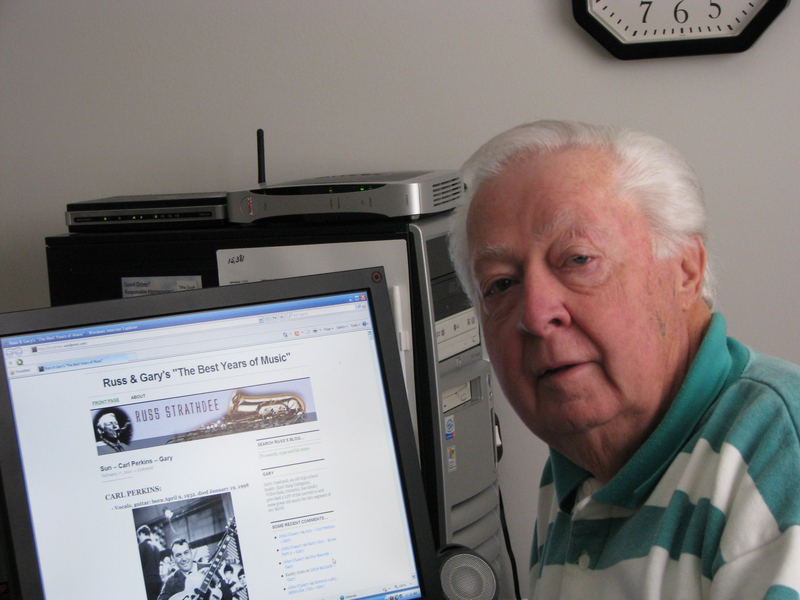 Gary: Born May 27, 1940 ( Rick Nelson, also born May 1940, was one of my favourite artists). I grew up in a small community called Newtonbrook, which became Willowdale, and now is North York, all part of Toronto, Ontario, Canada. There where not many houses around when I was a kid, so I walked about 2 kms to school each day. As the area grew, a new school called Lillian Street was opened just blocks from my home. Well I was back on the Bus again, because my High School, Earl Haig Collegiate, was about 10 kms away (8 miles). It was at this time, the birth of Rock and Roll, my love of music started. My Dad also loved music, played a little guitar and bought 78’s of 12th Street Rag/Pee Wee Hunt, Spike Jones and his City Slickers and so on. 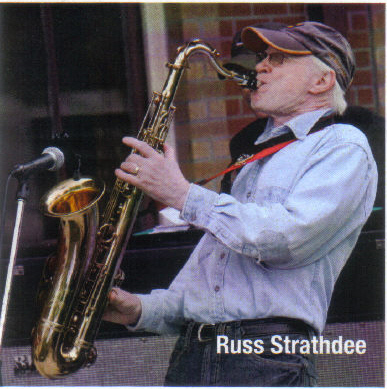 Russ and I ran in different circles at Earl Haig, he was the high flying sax player and 1 year older while I was a five chord wonder on the guitar. I knew as soon as I heard Fat’s Domino’s “Ain’t That a Shame” that I was hooked. I ran dances. I love to Dance; I do not know where it comes from but I posses natural Rhythm (some white people do have rhythm and can dance). My parents where great, we where far from wealthy, there were some lean years, so I always had a part time job. My working career was in the Computer field/Sales and Marketing with about only about 6 companies over a 40 year period and I think very successfully. I found Russ again in 2008 and we may not have been close in High School, but I think that we have a common interest “Music” and I think we like each other (he is a tough Boss). My interest in Music has never waned, I have taken College Courses on the Birth of Rock and Roll, I have an extensive written Library on the subject (best books are the Norm N. Nite Rock On Series) and have been collecting Music on vinyl, tape, CD and DVD for about 56 years. If I ever feel a little down, I just go to the basement, turn on the system and Crank it up and my troubles seem to go away, that includes my wife, she hates loud music. The only reason that I put so much time into Russ’s Blog (you would not believe the time) is Russ; he talked me into it and we have become close friends while doing it and that I think I enjoy more. 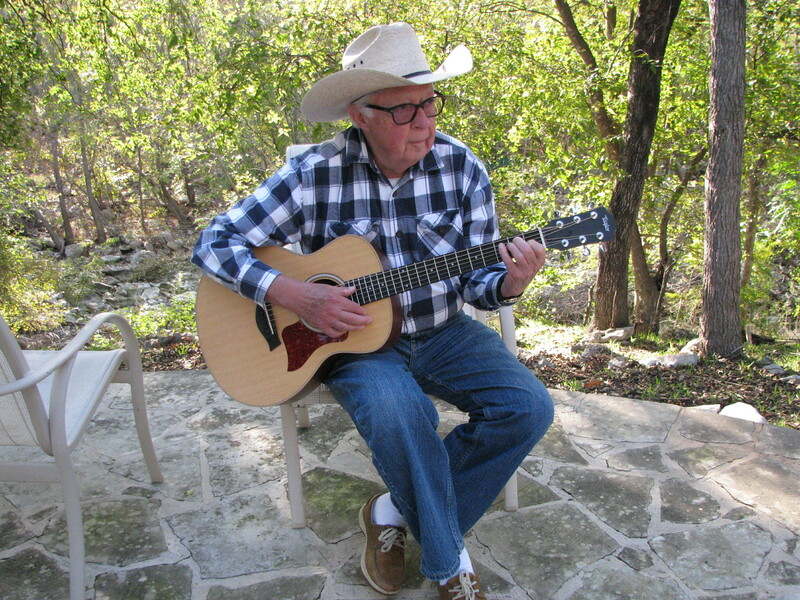 This just in from Gary, who is enjoying a great vacation at Berry Creek area of Georgetown, Texas. Yeehaw! My Blog partner Russ and I spend, literally Thousands of hours creating the Blog. People have asked me, WHY? Well in Russell’s case, it just keeps him off the street, and for me it’s who I am . Really, we both do this because we are NOT in love with the music of today and we do not want people to forget about the incredible era that we grew up in. I was encouraged by Russ to take on this project. Well, it has been over 2 years now, and what a ride it has been. I think we both enjoy it immensely and we have become very close friends because of this simple little Blog. Not only Russ, but I have made some very good friends from the Blog, Misty (yes I know her real name, she was one of the first Go-Go Dancers in the Peppermint Lounge) in Florida, Marilyn in Washington State (the biggest Rick Nelson Fan I know) Gene Thomas in Texas (had top 40 hit in 61) Wally and Drew in Washington State, Adrian in France and the list goes on. Although it probably has taken close to 2000 hours of my time over the past two years, I have enjoyed all of it and will keep at it because, We will not let the “Music Die”. 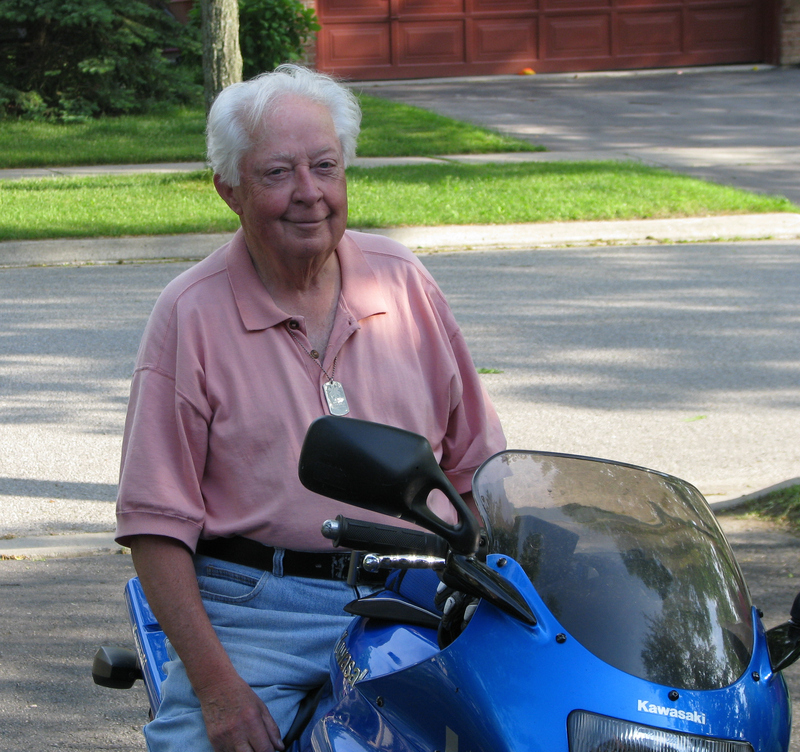 August 12, 2011 – Dagwood starting to like today’s music? I have an old 45 that I was wondering about. The group is the Falcons and the A side is ” You’re so fine “, L. Finney – W. Schofield. It’s on Unart records label a division of United Artists Records. I bought it back in circa 1962 at the Towers store at Bloor and Dundas for one cent! Ever heard of the group? Don: My partner Russ has a posting that he has not done yet (he is old and very slow), but it talks about the Falcons. The Falcons: Great Group, lots of Talent / You’re so Fine has Eddie Floyd as the lead singer (he would later record Knock on Wood under his own name) that recording was done in 1959. In 1961 they acquired a new lead singer, an unknown named “Wilson Pickett” and he would record “I found a Love” with the Falcons. Wilson, would also use the Falcons for back up in some of his recordings. Normally, I am not this well informed, but I just finished it two or three days ago and Russ should have it posted by 2011, just kidding, maybe next week. Hi Love Your Website .As You Know Russ I;m Really A HANK SR Fan.Keep Up The Great Work. Don. I think what you guys are doing is wonderful! I grew up with alot of diffrent music going on in the house from Booots Randolph to Frank Sinatra Motown Doo Wop Tom Jones the Beatles and on it goes. I love music. Thanks again for keeping it alive! I know where there’s a nice spot like that little cabin… just north of North Bay. Maybe use Solar panels. Convert all your music to mp3’s and play them on an iPod. You did such an outstanding job on your Joey Dee account. Is Joey aware of your work? but YOU are, and that’s what counts! Everyone loves what you guys are up too. Such clever work and coverage! Keep up the terrific work guys I’ve added you guys to my personal blogroll. My name is Damon Smith and I am the grandson of Darrell Johnson of the Kuf-linx. My mother is e-mailing me a picture of the group that includes her father Darrell and I was wondering if you would be so kind as to post it in their profile. We are missing a photo of the Kuf-linx so I think that would be great if you could send one. I’ll email you about this. Russ, its over 58 +- years ago but I have never forgotten your Hooperdinkle Harp House letter that you created in English comp at the Haig. Rock on Russ, you are an inspiration.! Hey Guys, Just for the record, David (Jay Black) Blatt was his given name. That’s what he called himself when he sang with the “Empires” from Empire Blvd. in Brooklyn. What a great site I have stumbled upon here. Have been looking for decent links to add to my music website and this has now been added. A mine of information. Great work guys. Thanks for the emails guys. I think this will be the start of a great friendship with your site and mine. Absolutely loving it!! I’m so grateful…what a tremendous site; a fountain of information! I’m associated with Alan A. on his Soft Rock Cafe music site as an administrator and, as he puts, right arm lady to SRC! 😉 Alan knows how I love the drums and sax, so he sent me Russ’ YouTube video of Honky Tonk and Mr Lee! After listening to Russ’ talented version, I just had to post it to my Facebook wall for everyone to enjoy…and are they ever! I expect to be making regular visits to this site as I absolutely love it and want to explore it all! Keep up the tremendous work guys and know it is so appreciated!! Wow! Thanks so much, Diane, for your kind words and wonderful support. That really makes our day to have such input. Hopefully, we’ll keep your visits interesting. Although not in your genre of music I have started adding more stuff to my “Smooth Jazz” channel on the website. Inspired by you guys here for sending me that wonderful sax video!! Have just added a number of great sax players (Dave Koz, Boney James, David Sanborn, Euge Groove) and Rick Braun on trumpet, Peter White on guitar and a great pianist in Brian Culbertson. Plus many more!! Thanks for the inspiration!! Just found this heavenly compilation which just about describes your site! Have added to my 50’s channel. Full of music magic!! In that compilation which lasts for just over 8 minutes I counted, hopefully correct, 46 songs!! Hope you enjoy this great interview with Paul McCartney!! That was definitely interesting with David Frost 40+ years later interviewing Paul once more – quite reflective. Thanks, Alan. I remember the Yonge Street strip really well, and taking Buddy Guy to the island with my brother for a picnic. He played at the old Colonial Tavern. We’re from Willowdale too, and used to hitchhike downtown. Back in the day, there wasn’t much of a music scene in Willowdale!. We had to head south! Cheers, I look forward to reading your blog and stirring up those old memories!